This morning I was writing a horror story and I realized that the structure of a classic horror story is different than the typical hero's journey. 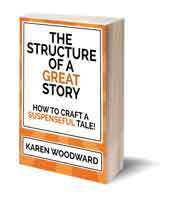 1) What exactly is the structure of a horror story? 2) What is the purpose of a horror story? What is it supposed to accomplish? How will we know whether we've succeeded or failed? Let's take this in parts. What is a good horror story supposed to do? What is its function? That's easy! It's supposed to terrify, or at least deeply disturb. If you're not horrified by the end, then the story could be great and wonderful, but it's not a horror story. What are the parts of a horror story? This is something I'm sure I'll continue to think about over the years, but here's what I've come up with so far. As you can see, I'm adapting Christopher Vogler's take on Joseph Campell's work (see The Hero With A Thousand Faces). There are a few parts here. a. The hero does something normal. Perhaps the hero goes on a date, perhaps they meet friends, perhaps they go on a road trip. This is a great place to introduce your characters. Foreshadow the dangers to come. For example: The mother can't find her children. The college students on the road trip get lost. In The Cabin In The Woods the GPS breaks. At some point in the first act the theme or moral might be stated. For instance, in The Cabin In The Woods, 8.5 minutes into the movie Marty says, "Society needs to crumble, we're all just too chickenshit to let it." Something happens that would give a reasonable person second thoughts about the wisdom of going forward. It seems to me that the break into act two occurs when the protagonist willfully ignores the warning. And that's the key word, it must be an act of will, the hero must choose to ignore the warning. At least, ordinarily. I'm sure there are horror movies that violate this rule. Ordinarily, act two begins when the hero accepts the quest. I guess one way of looking at this is to say that, in a horror story, by ignoring the warning, the hero tacitly accepts the quest. This is another difference from the normal story structure. Usually the problem changes, then the hero accepts the quest. It seems that in a horror often the hero ignores the warning and then either fulfills their initial goal or the initial goal changes. For example, in The Cabin, the college students ignore the (implicit) warning and then complete their initial goal of finding the cabin. The cabin, and the area around the cabin, is the Special World of the adventure. At this point they begin exploring the cabin and try to figure out what kind of a place it is. Other examples: The mother realizes that her kids are missing. Her goal is no longer to find where they're hiding. She knows they're gone. Now her goal is to find out who took her kids and get them back. Often there is a fake solution. Something happens, an event, and the protagonist feels either that the problem has been solved, or that someone else more skilled/competent is there to handle the crisis. For example, the mother can't find her children so she calls the police. A suspiciously short time later a police officer arrives, someone she knows, someone who can take care of everything. Often when there's a fake solution, the protagonist--perhaps with the help of the real villain--begins to suspect one of her friends/allies. The fake threat is contained and the protagonist relaxes. Not long afterward, the real killer reveals himself/herself. Often they reveal themselves by slipping up in some way, for instance revealing information they shouldn't have had, or that only the killer could have had. Protagonist and antagonist/villain fight. Usually the protagonist will win, but in a horror that often doesn't happen, not only does the protagonist lose, but their fate is worse than we ever could have imagined. Don't forget to include a few red shirts which die in horrible, grizzly, so-gross-you-can't-watch ways. 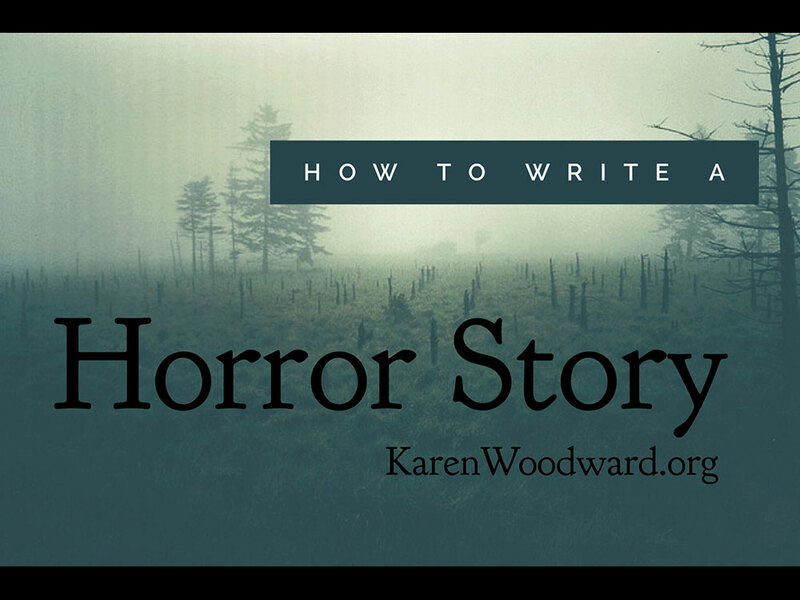 There are many ways of structuring a horror story. A horror movie has certain rules. If you break too many the audience will be disappointed. This is a very short, no fluff, blueprint of how to write a horror script. Foreplay. Tease the audience. Make them jump at scenes that appear scary -- but turn out to be completely normal. (Like the cat jumping out of the closet) Give them some more foreplay before bringing in the real monster. Evil Attacks. A couple of times during the middle of the script show how evil the monster can be -- as it attacks its victims. Investigation. The hero investigates, and finds out the truth behind the horror. Here's another helpful article on the structure of a horror story: An introduction to horror films. What are you waiting for? Go forth and write a hair-raising, blood-curdling, horror story that would terrify Freddy Krueger. Have you ever written a horror story? If you have any tips/tricks please share! Photo credit: "Solitude standing..." by josef.stuefer under Creative Commons attribution 2.0. Thanks for this and the links. This makes writing one look like fun. You're welcome Loyd! I was surprised just how much fun writing horror turned out to be. For me, writing horror has been a very different experience from reading/viewing it. Great post, thank you. I'm currently editing a manuscript for a sci-fi horror story I'm writing, but I haven't been sure if I was on the right track. Reading through this helped clarify a few points, and even the end (evil lurking) reminds me of needing to fix that from the rough draft. Though I do wonder, how many horror stories have it where the main protagonist doesn't actually succeed? The lists were pointing out the character comes back to their normal world, better or worse, but what if they protagonist dies (such as self-sacrifice)? I think it is fairly common for the protagonist to die at the end of a horror story; although perhaps the books I've read aren't representative of the genre. For instance, (spoiler warning) take the book by Stephen King, The Dead Zone. Johnny Smith dies at the end, after he makes a heroic sacrifice to save the world. The Dead Zone is a good example of a story where, although the protagonist dies, he succeeds in his goal. 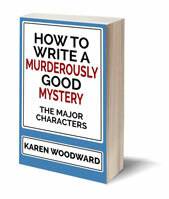 I think that's the key; often protagonists die in a horror, but that doesn't mean they aren't successful. They do, usually, accomplish their goal, it's just that accomplishing this goal requires they make the ultimate sacrifice.